Man, wish I had an ice cream maker. I can just taste all of the toppings and ice cream from your descriptions. Have a great trip, Julie! Oh moms, they just never get it right. I'd love to try some homemade ice cream. Have fun at the lake! I shouldn't have read this post before dinner, now I won't be happy till I've tried some of this. Maybe just the fudge sauce? I think I can see the little brown specks in the ice cream---cool! I think it would be a great flavor to serve with Thanksgiving pies. Wow, this looks fabulous and the salty hot fudge sauce sounds amazing!!! I want a huge bowl of this right now. 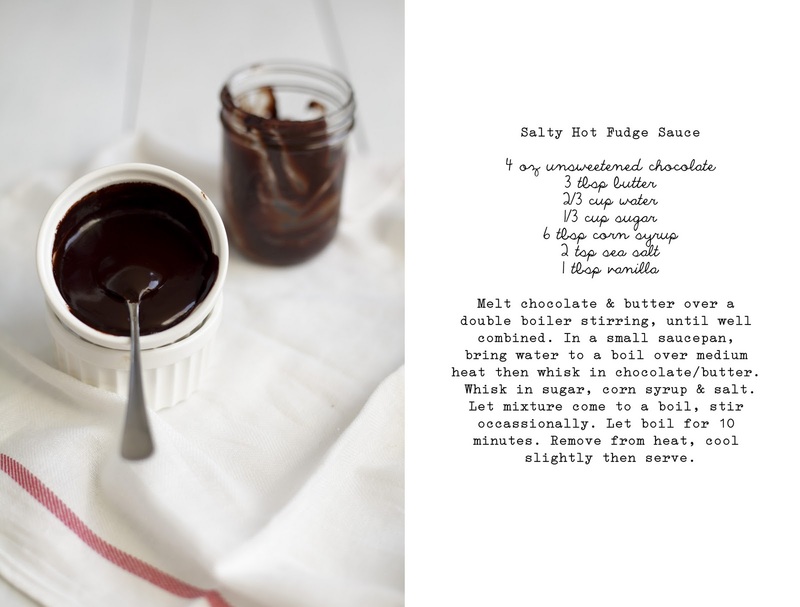 mmmm.... you had me at "salty hot fudge sauce". Brown butter ice cream.... mmm. Just about the only thing I think that sounds better is if pecans were swirled in, but it looks like you've got that covered with an almond crumble. This looks perfect! Mmmm! i HAVE to try this!! It looks heavenly. I plan on getting an ice-cream maker this coming holidays, so this is going onto my "must make" list! beautiful! I would want to steal that sauceeee! Brown butter just might be my favorite thing in the whole world. 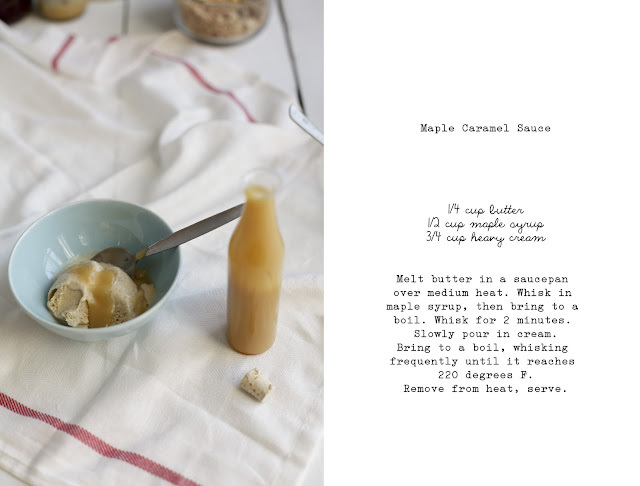 I'm sooo making this when I'm back at home and have my ice cream maker. Oh, boy. Wow! 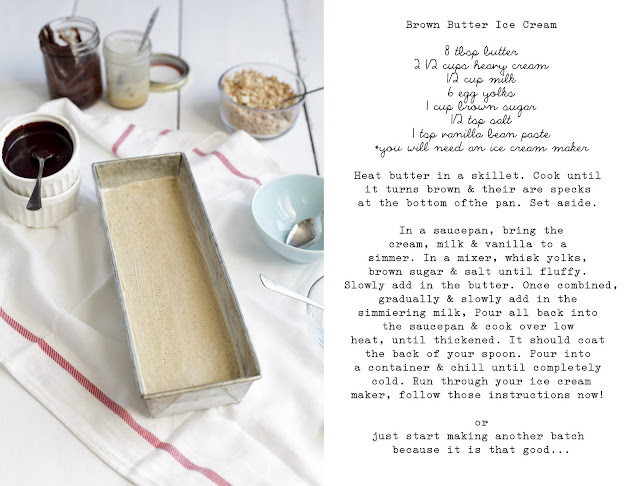 I'm a huge brown butter fan, so this ice cream sounds amazing. Not to mention all the yummy toppings you made to go with it. Delicious! 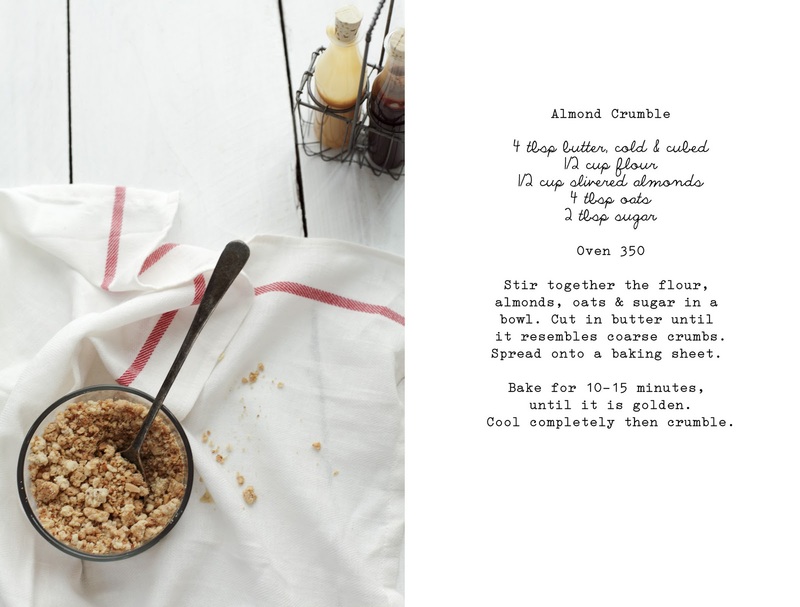 ooooh *swoons* I love the sound of this and with the ice cream kick I am on, making this pronto! Wonderful! I've thought about making something similar, good to know that it is awesomely delicious! Sounds great! I love the topping ideas! this post is so delicious looking! i really love the jars you used to hold the fudge and caramel sauce in, they are so sweet! What a feast for the eyes and my mouth is watering over all the delicious looking food on your blog! I will definitely return for more inspiration. Forget the ice cream (well no, not really), I want some of that maple caramel sauce! Have you ever made ice cream in an old metal coffee can? I did that in middle school and since I don't have an ice cream maker, I wonder if that would work for this recipe!? oh good god this sounds AMAZING! I can't wait to get my ice cream maker back - delicious first go! I really have to try this, it looks delicious! The ice cream looks delish but I'm dying over that extra long skinny loaf pan. May I ask where you got it? My sister-in-law has one like it that he mother bought her but I guess she searched for a long time before finding one. Once more fantastic article. Material have a very good understanding of these kinds of themes.While i going into your blog,We felt this kind of . Come on and writting your blog post may well be more interesting. For a Achievement!